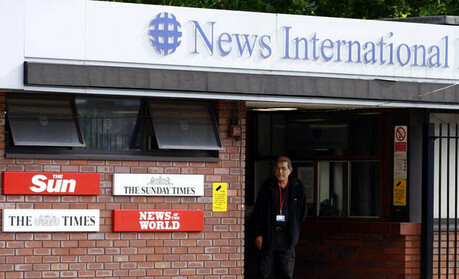 The ongoing investigations and recent arrests at News International have prompted two senior journalists there to consider suicide, the Evening Standard reported last night. The paper says the reporters “were checked into hospital at the expense of News International on the orders of Rupert Murdoch”. Sources said other journalists inside the Wapping HQ look “terribly stressed and many are on the edge”. It is understood the company’s offer of psychiatric help is available to any journalist who feels under pressure. The tragic developments happened after News Corp’s Management and Standards Commitee, a branch of the empire that reports directly to independent board directors in New York, passed evidence to Scotland Yard. The MSC is co-operating with the Metropolitan police investigations into allegations of phone hacking, computer hacking and payments to police and other public officials. Eleven people from the Sun have been arrested in recent weeks as part of Operation Elveden and released on police bail without charge. This entry was posted in Journalism, Newspapers and tagged News International on March 7, 2012 by Paul McNally. Another development in the News International/Metropolitan police story has emerged today – with the Evening Standard reporting that the Metropolitan police loaned Rebekah Brooks a police horse for two years. “When a police horse reaches the end of its working life, Mounted Branch officers find it a suitable retirement home. Whilst responsibility for feeding the animal and paying vet bills passes to the person entrusted to its care at its new home, the horse remains the property of the Metropolitan Police Service. Retired police horses are not sold on and can be returned to the care of the MPS at any time. 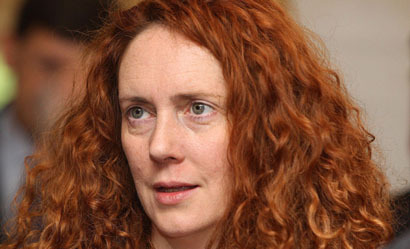 This entry was posted in Editors' pick, Journalism and tagged Metropolitan Police, News International, Rebekah Brooks on February 28, 2012 by Paul McNally. In a series of interviews to UK broadcast media today, Trevor Kavanagh, associate editor at the Sun, criticised what he sees as police heavy-handedness during the dawn arrests of key Sun staff over the weekend. In the above clip, Kavanagh gives his most controversial interview of the day to BBC Radio 5 Live’s Richard Bacon, criticising both the police operation and News Corporation’s own investigation by its Management Standards Committee. “There’s never been a bigger crisis than this [at the Sun]”, Kavanagh tells Bacon. RB: [paraphrase] Re: Rupert Murdoch planning to fly in later this week – will he face a hostile newsroom? This entry was posted in Legal, Newspapers, Press freedom and ethics and tagged Management Standards Committee, News Corporation, News International, Richard Bacon, The Sun, Tom Watson, trevor kavanagh on February 13, 2012 by John Thompson. The Sun’s associate editor, Trevor Kavanagh, has spoken further about the “unease” at the Sun following the arrest of five senior journalists at the weekend – and he said he would be “delighted” to talk to Rupert Murdoch about the issue when he visits this week. There are people who will stop at nothing to destroy News International. The News of the World has already closed and they will not be satisfied until the Sun is closed too. That is not going to happen. There is no justification on the base of what you and I know so far. I think it would be a catastrophe for the British media, the newspaper world and even possibly the BBC if action which at this stage suggests no actual guilt should be regarded as grounds for closing newspapers. I think it’s fair to say that there is unease about the way that some of the best journalists in Fleet Street have ended up being arrested on evidence that the MSC has handed to the police. I think there is unease on that. If he wants me to talk to him about it, I would be delighted. This entry was posted in Journalism, Newspapers and tagged arrests, News International, operation elveden, Rupert Murdoch, The Sun, trevor kavanagh on February 13, 2012 by Paul McNally. News International is planning to launch a Sunday version of its popular UK tabloid newspaper the Sun on 29 April, sources have told Journalism.co.uk. Staff have been secretly working on the new publication since January and it is believed some former News of the World employees (casual and/or full-time) are involved. News International has declined to comment. After Journalism.co.uk tweeted about the planned launch date last night, the Telegraph’s home news reporter Matthew Holehouse also tweeted that News International would neither “confirm or deny”. News Int won’t confirm or deny @journalismnews claim that a ‘Sunday Sun’ will launch April 29. A News Corp source tells me Rupert Murdoch has seen the draft designs of the Sunday Sun with a launch in April at a discounted price. Update: Journalism.co.uk heard late on Friday (27 January) that the launch date is to be brought forward. This entry was posted in Journalism, Newspapers and tagged News Corporation, News International, Sunday, The Sun on January 27, 2012 by John Thompson. Editors of the Mirror and the Times were today questioned at the Society of Editors conference about their coverage of the phone-hacking scandal. Editor of the Times James Harding said earlier on in the scandal that the newspaper’s decisions were informed by “a combination of the company denying it, police saying there was nothing to see and an issue of rivalry”. I look back and think why didn’t we jump on it? There’s often the sense that there’s an agenda there so I think when that story broke in the Guardian there was a tendency to see that and when news broke the police came out and said there’s nothing to see here. That did inform the thinking. It was only as a few more pieces fell into place … I remember thinking there is something that is seriously wrong here. Editor of the Mirror Richard Wallace added that when it first started “it was very much a meeja story”. We didn’t think our readers were interested in it and frankly they weren’t. This entry was posted in Events, Journalism and tagged #soe11, News International, phone hacking, Society of Editors conference, The Mirror, The Times on November 14, 2011 by Rachel Bartlett. The National Union of Journalists is due to hold a meeting tomorrow (Wednesday, 2 November) to discuss the recently announced cuts to editorial within the Times and Sunday Times, which is open to member and non-member freelance, casual and staff journalists at the publisher’s titles. Last month the Times announced it was to cut around 100 staff from the newspapers’ editorial workforce, with the bulk of those said to be to casual staff. It was also confirmed that 20 compulsory redundancies are due to be made from full-time staff at the Sunday Times, which is cutting 30 per cent of its casual editorial workforce. Following this announcement the NUJ set up a meeting, which is open to any staff who wish to seek advice. It will be held from 1 to 3pm at the Captain Kidd pub, 108 Wapping High Street, E1W 2NE. The union has also invited representatives of the company’s in-house union NISA to attend if interested in working with the NUJ. This entry was posted in Events, Job losses, Jobs, Newspapers and tagged job cuts, National Union of Journalists, News International, nuj, Sunday Times, times, unions on November 1, 2011 by Rachel Bartlett.